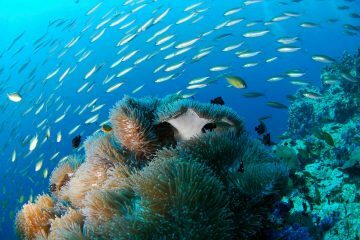 If you’re out to experience some of the best scuba diving that Thailand can offer, your best bet is to head on over to the Similan Islands, a string of 9 islands protected by a marine national park. If you’re serious about your diving or are just looking for an unforgettable experience, the best and most popular way to experience the islands is through liveaboards. With a range of itineraries and boats to choose from, we’ve put together this guide to help you choose the best Similan Islands liveaboard. Similan Islands Liveaboard: Why it is Awesome! Alongside with the rest of Manta Queen’s fleet of boats, the Manta Queen 5 is one of the best options for those on a budget. 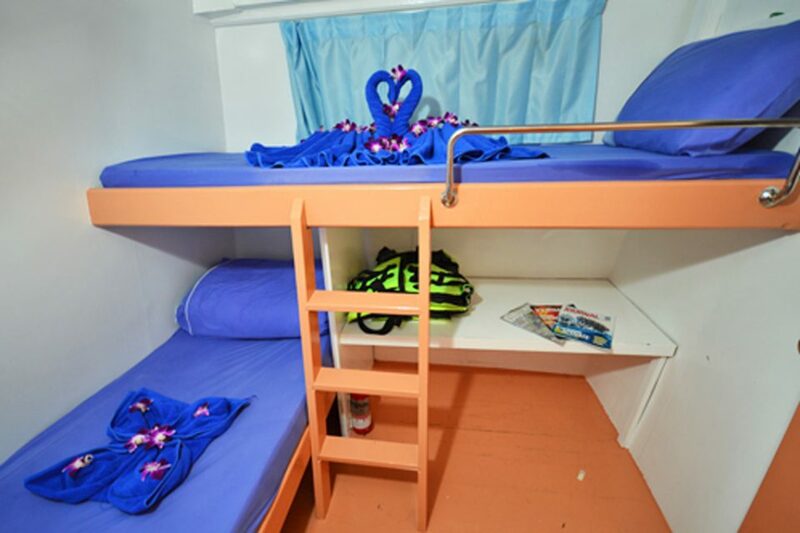 Often running popular 3-night trips departing almost every week, the 23m Manta Queen can host up to 20 guests in twin bunk cabins. When you’re not diving or snorkeling, relax on the open roof top sun deck and stare out into the open sea. Apart from the boat amenities (which include delicious buffet style local meals), there are five dive staff and six boat crew who are ready to assist you throughout your entire trip. Nitrox is also available on board for those that are certified. Most of the trips that the Manta Queen 5 runs are from the Similan Islands-Koh Bon Island from October to May. Full diving equipment can be rented for 1200THB per trip. 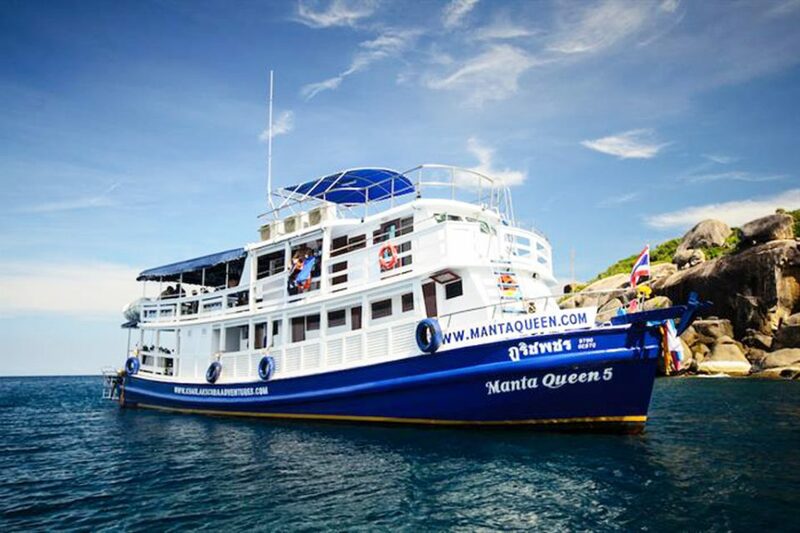 Outfitted slightly larger, the Manta Queen 1 is a liveaboard which offers 4-night trips for both snorkelers and divers heading towards the Similan Islands, Koh Bon, Koh Tachai, and the stunning Richelieu Rock. 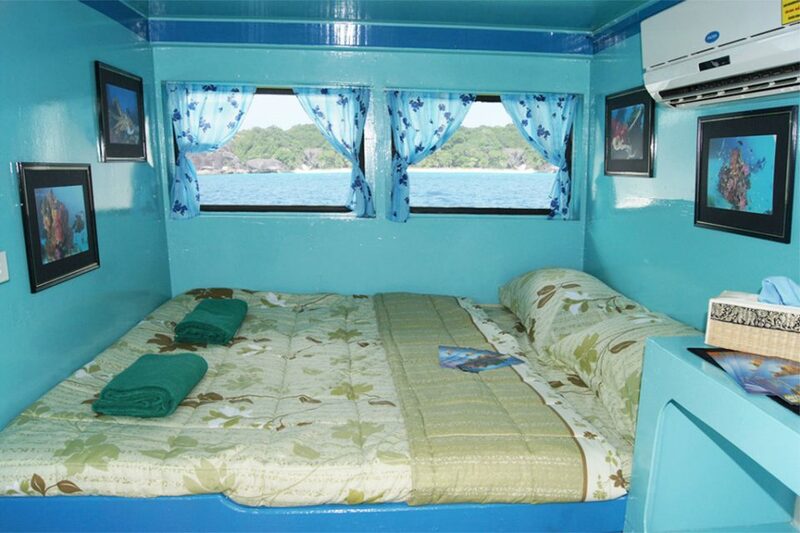 The boat itself has 4 double, 5 twin, and 1 quad sharing cabin, making it an ideal pick for budget travelers. 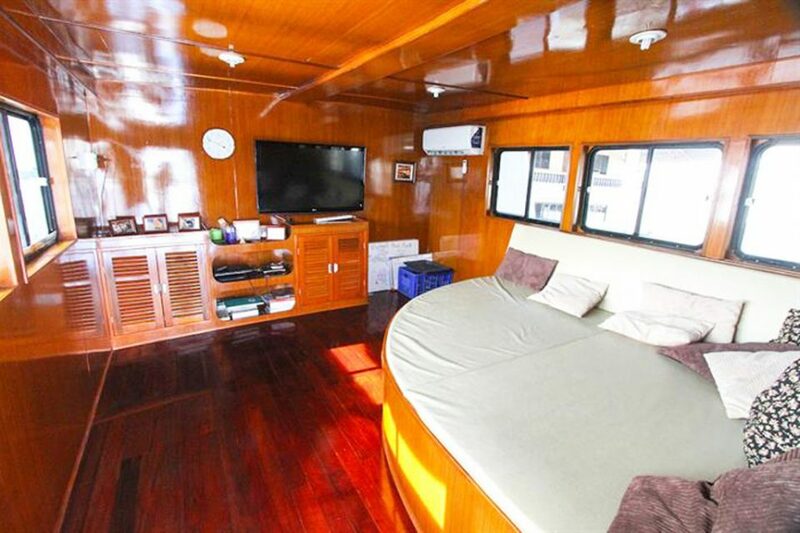 The boat has an indoor air-conditioned saloon with a flatscreen TV as well as a sun deck with mattresses on the top deck. In between dives, the boat also stops at some of the white sanded beaches that the Similan Islands are known for. Full diving equipment can be rented for 1600THB per trip while snorkel gear are priced at 800THB per trip. 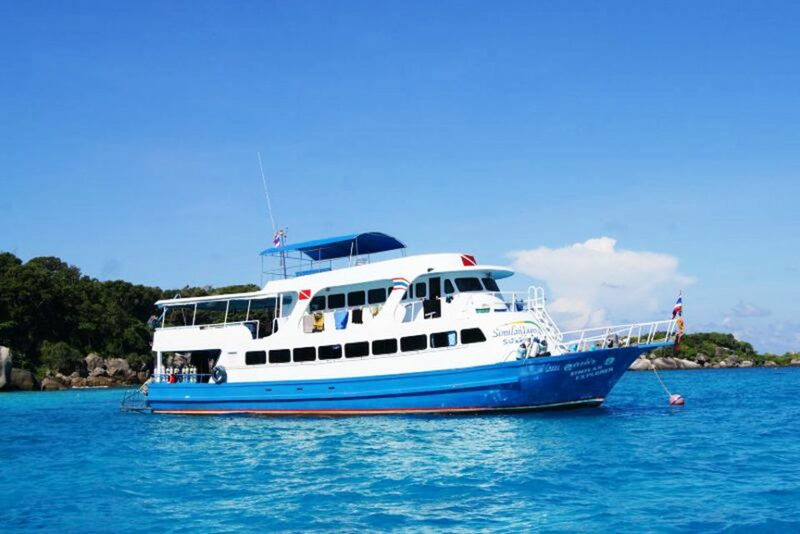 Joining the 25m MV Similan Explorer is a great way to explore the best of the Similan Islands. Offering anything from 3-5 night expeditions, travel with their experienced dive guides as you explore the vibrant underwater world. 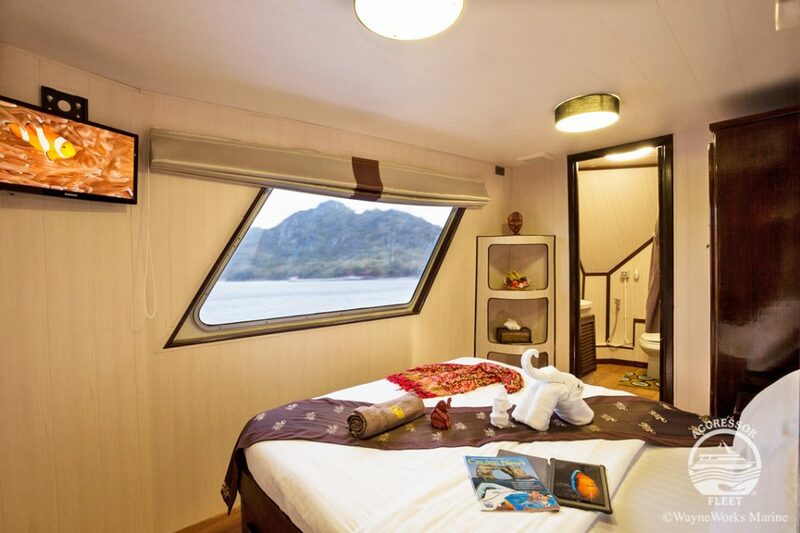 The boat itself has 8 cabins with 4 twin bunks and 2 quad cabins. 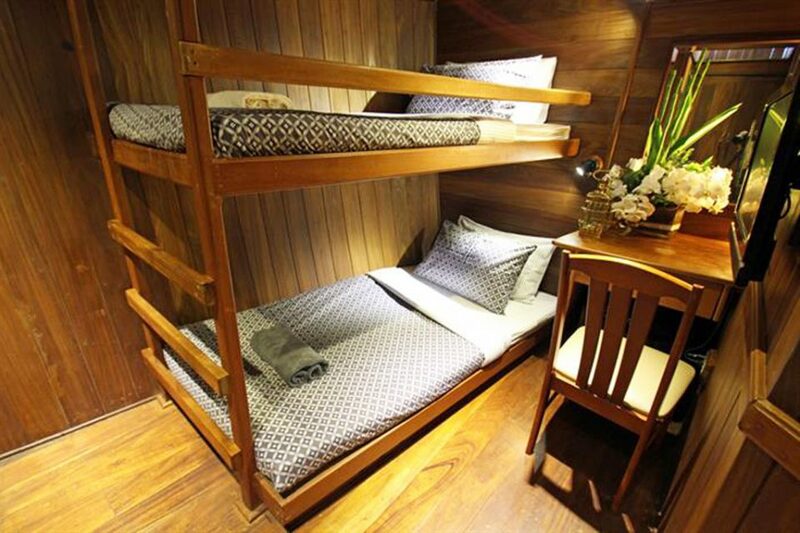 The upper deck has 2 double cabins with sea views and air condition. When you’re not diving, you can spend time in their entertainment dining area or up on the sun deck where you can keep your eyes peeled out for manta rays and dolphins. 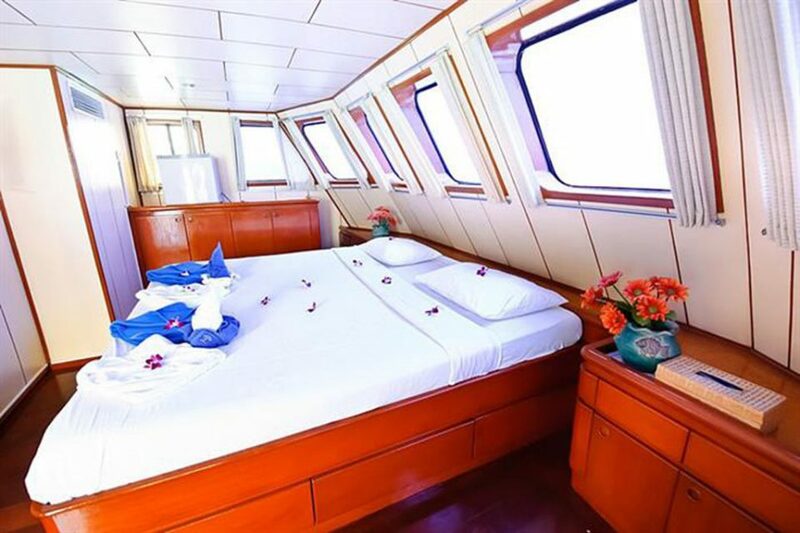 Offering dive and snorkel trips to the Similan Islands, Richelieu Rock, and the most recently opened expeditions to Mergui Archipelago in Myanmar, the Dolphin Queen is a great choice for those on a budget. This 24m boat has 3 decks, offering plenty of room for guests to roam and lounge. 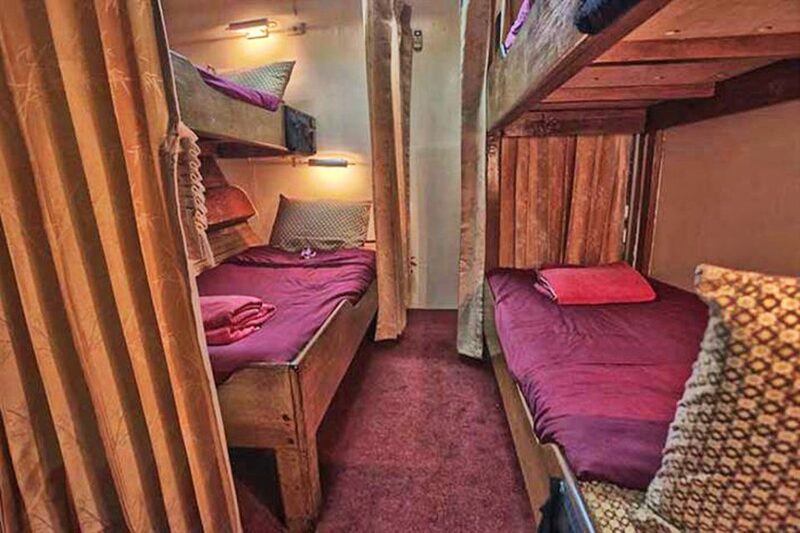 There are double, twin, and quad sharing cabins, all with AC and sea views. 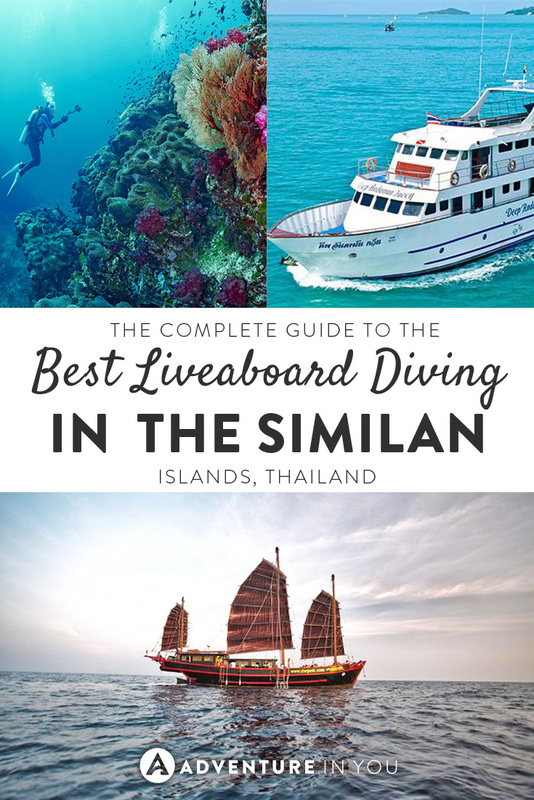 Travel to some of the most pristine dive spots across the Similan Islands, Koh Bon, and the Surin Islands while using the boats very experienced dive masters. For those that are looking to do something more off the beaten path, consider joining the Dolphin Queen in one of their 6-night expeditions to the virtually untouched diving in Myanmar. 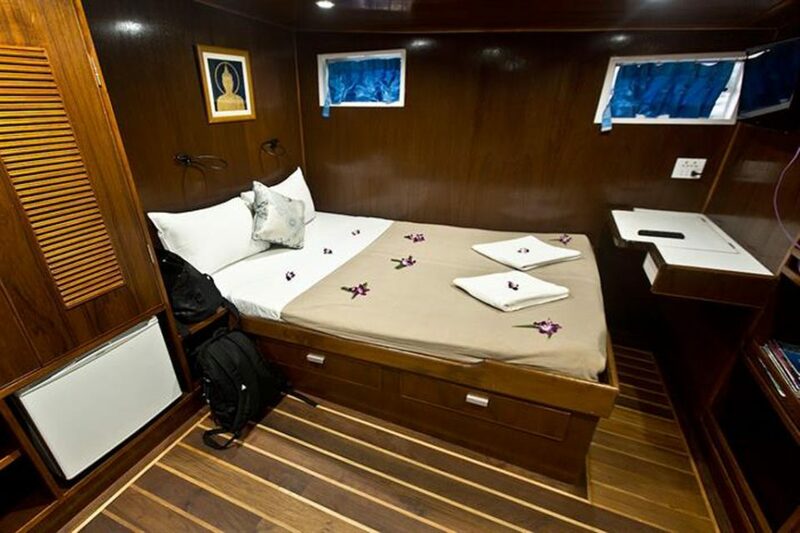 If you’re looking for a little bit of comfort and luxury while you’re on your diving expedition, the MV Pawara is the way to go. The previous people who have taken this trip have raved about the level of professionalism of the dive guides and crew. 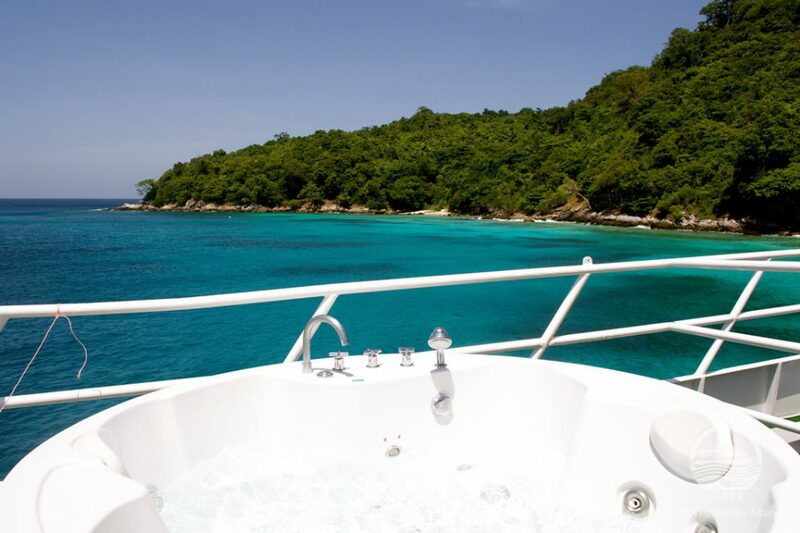 Apart from the stellar service, this 35m steel-hulled boat offers 4-night trips showing you the best of the Similan islands as well as Richelieu Rock, Koh Bon and Koh Tachai. The dive platform is spacious, leaving plenty of room for gear storage. The Parawa offers 2 budget cabins and 10 other cabins with en suite bathrooms. When you’re not diving, you can relax in the entertainment room or sun deck where you can catch glimpses of the most beautiful sunsets. 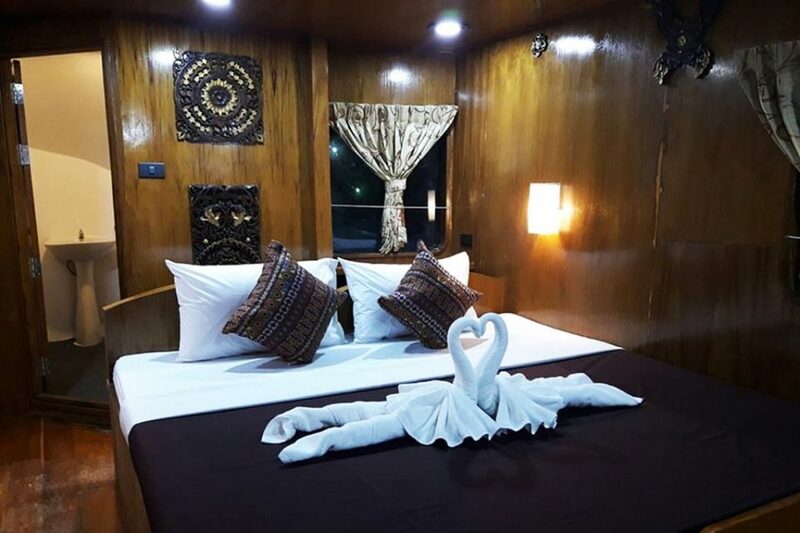 The Sawasdee Fasai was recently renovated in 2016, making it a luxurious but still budget friendly option when exploring the stunning Andaman seas. 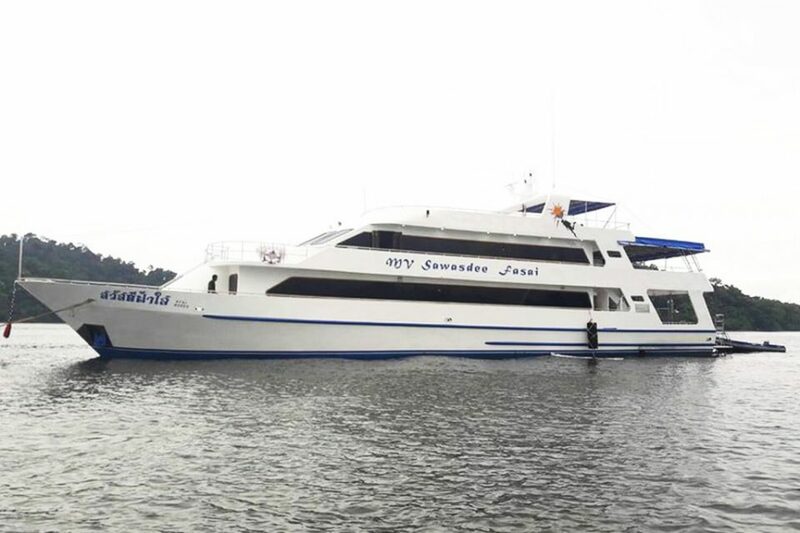 Sister ship to the popular MV Pawara, this boat can easily fit up to 26 divers, with 13 air-conditioned cabins, ranging from budget to master cabins. The boat has a huge sun deck, as well as an outdoor and indoor lounge area. 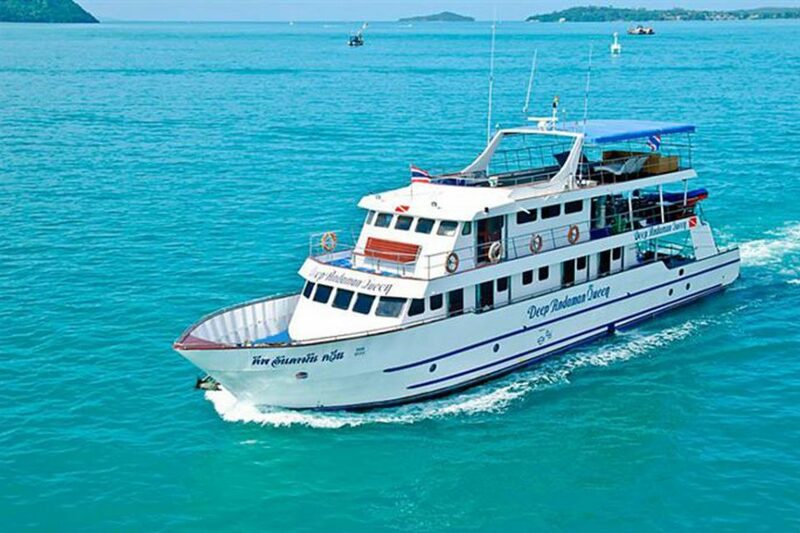 The Sawasdee Fasai runs 4-night trips to the Simila Islands, Koh Bon, Koh Tachai and Richelieu Rock. With around 4 dives scheduled everyday (night dives included), be prepared to see the best of what Thailand’s diving can offer. 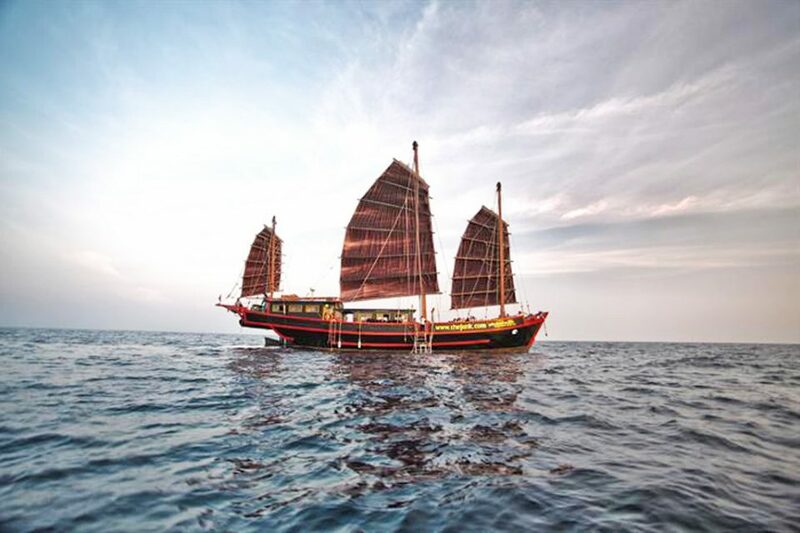 Running tours from November to May, the Junk liveaboard is a perfect pick to explore the stunning waters of the Andaman Sea as well as the un-chartered pristine waters of Myanmar. This boat used to be part of a small merchant fleet that sailed from Burma to Malysia. 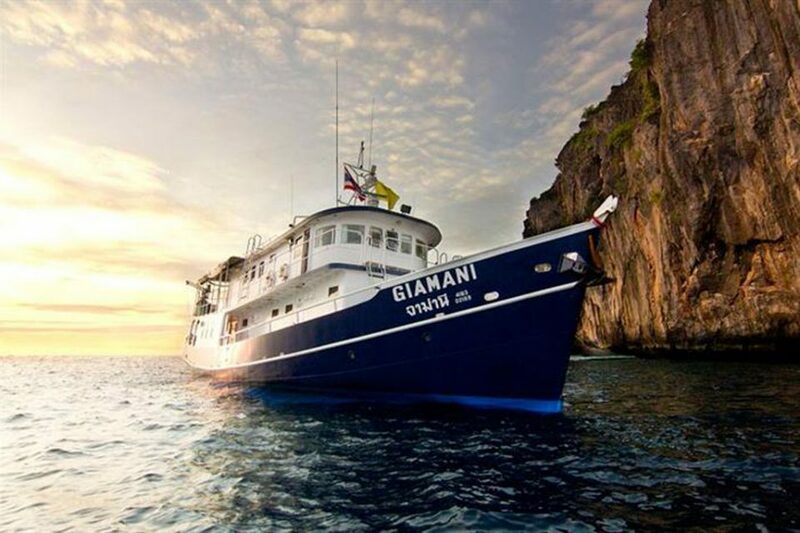 After being renovated, this 33m ship was turned into a full-time liveaboard dive ship. With 6 air-conditioned cabins and en-suite bathrooms, guests can get a full night’s rest. Previous guests have raved about the dive crews organization as well as the food which is freshly prepared every meal time. All dives will be done via dinghy so getting to and from the dive spots will be easy. Apart from the stellar diving that you are bound to have, there is also a grandiose feeling of sailing in a huge ship which in fact has been featured in multiple films (James Bond, Swiss Family Robinson) How’s that for cool? This custom built boat is perfect for long dive expeditions as everything was built with diving in mind. 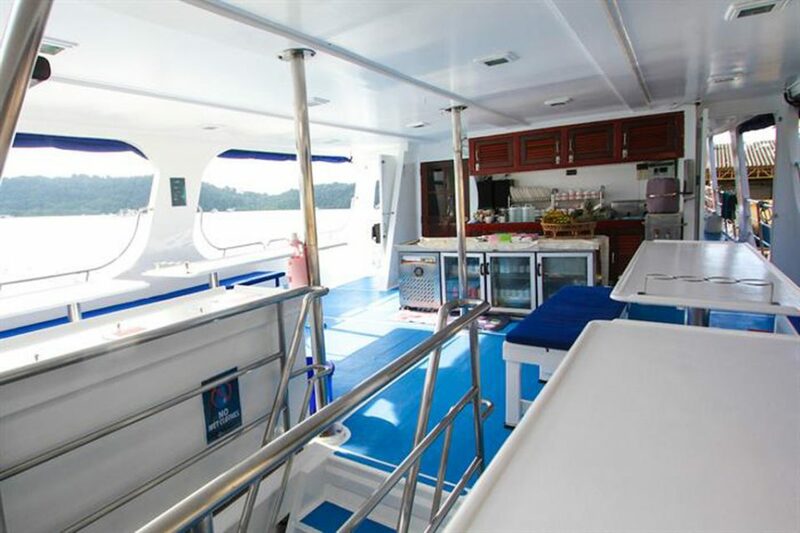 Apart from being equipped with 9 en-suite AC cabins, the boat boasts of a huge dive platform where you can get geared up for your dive. 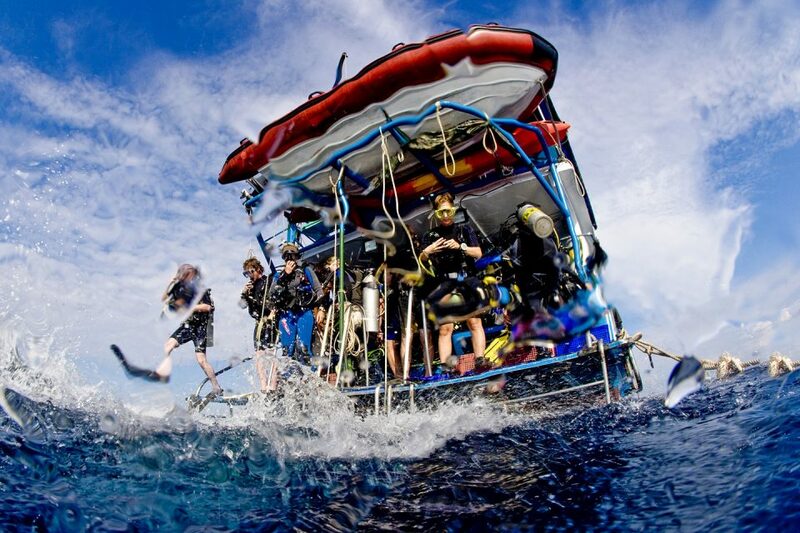 There is ample room for dive computers, equipment, and other gear, making the whole process of gearing up hassle free. The boat offers delicious Thai, Asian, and International fusion meals, making sure you never go hungry- an important thing when you’re out exploring the underwater world. The staff at the Deep Andaman Queen are remarkable at making sure you’re comfortable and having fun. Although pricier than most of the other liveaboards, the level of luxury in this 35m sailing yacht makes it worth it. The crew gives 100% of their attention to you, making sire you are enjoying and making the most out of your diving experience. Everything from traditional Thai massages, relaxing cocktails, and some mouthwatering dishes by the executive chef. The boat has 7 luxury cabins as well as a wine cellar designed to store wine throughout your trip. The boat trips run from October to May and are mostly 6 night long expeditions. You know it’s a great liveaboard trip when previous customers have raved about the entire experience over and over again. 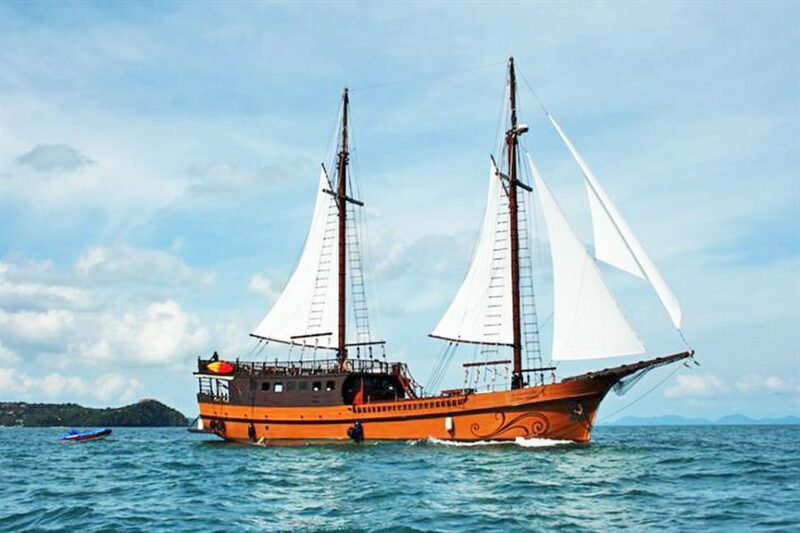 The 24m MV Giamana is a Phuket-based boat which offers trips from 2-6 nights, all varying in length and price. This exclusive boat has 5 AC cabins, ensuring that all the guests and divers get lots of personal space and top notch service while on board. The boat has an air-conditioned salon and a large dive deck with areas for rinsing your cameras. The food is noted to be plentiful, delicious, and a good mix of Thai and International flavors. If you’re looking for a comfortable and luxurious experience while exploring the best of what the Thai islands can offer? The MV Giamani is a great choice. There is no better way to end your diving day than soaking in a jacuzzi with a cold beer in hand. In the 35m M/V Thailand Aggressor, you can do precisely that. 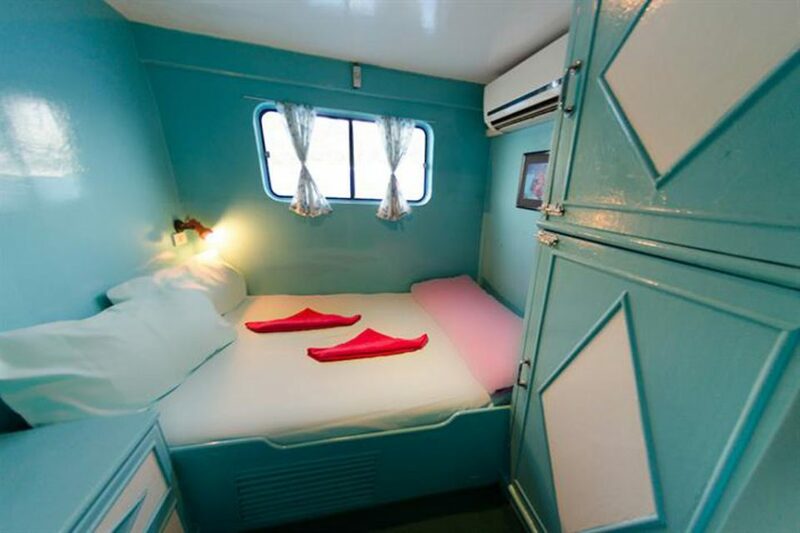 Offering 8 lavishly designed rooms with private bathrooms, TV’s, and showers, they crew go all out to help make your dive experience as comfortable as they can. Apart from the delicious American and local cuisine served, complimentary drinks which include beer and wine are also served to the guests. 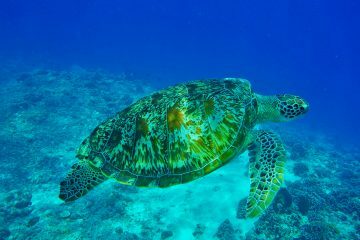 Explore the best of Thailand’s diving as you go on up to five action packed dives daily including magical night dives where you can chance upon rare creatures. 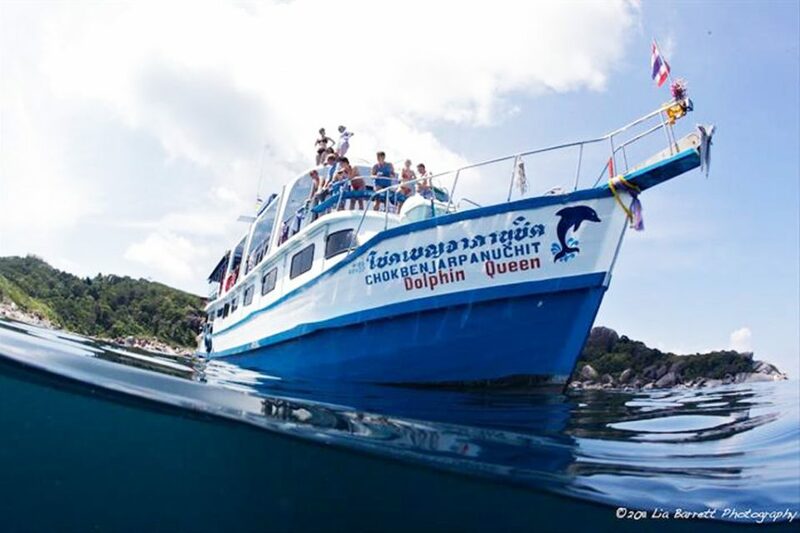 Although diving in Thailand happens all year round, the Liveaboard season in Thailand runs throughout November to May. The best time of the month to dive is during March as the Andaman Sea is at it’s calmest, with super clear visibility ranging from 25-40m. During the end of February, the currents get stronger which increases your chances of seeing large marine creatures like manta rays and sharks. 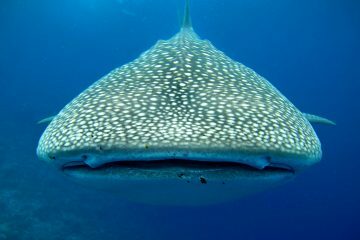 Chances of seeing whale sharks are high in February to May. Generally speaking, the Similan Islands are tide dependent, meaning, if you time your trip during that of a full or new moon, you will most likely face strong currents. 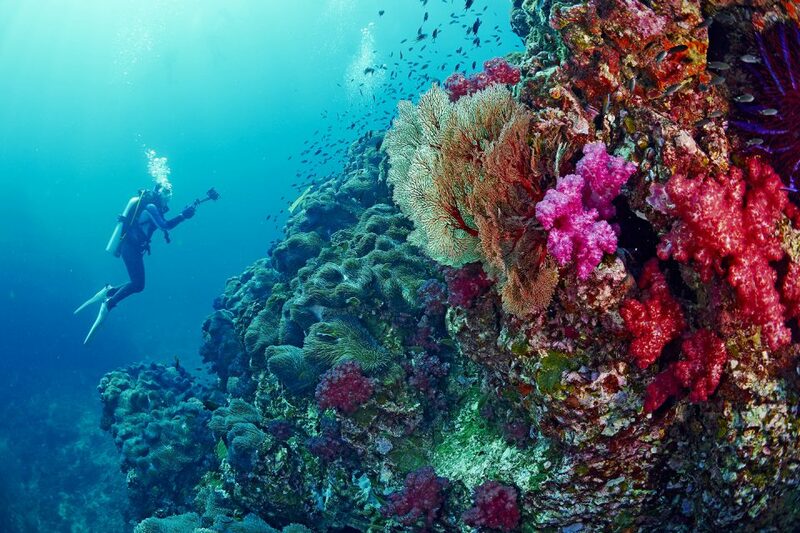 You can find a wide variety of dives from sloping coral reefs to rocky gorges. Some dives are classed as challenging due to the depths and currents. If anything, trust your dive master and listen to their advice. They have been navigating theses seas and are all experienced in reading the changes in the water patterns. World class diving, white sandy beaches on uninhabited islands, and crystal clear waters that stretch as far as your eyes can see. 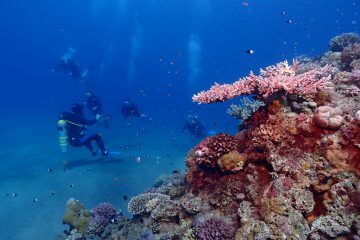 If you think that the Similan Islands are beautiful, wait until you start exploring underwater. Similan National Park is made up of 9 islands, all of which are referred to by their number rather than their name. Together with these 9 islands, other nearby dive sites are the ones in Surin Island which encompass the islands of Koh Bon, Koh Tachai, and the famous Richelieu Rock. Together, there are over 25 different dive sites to choose from. As you can imagine, a place like this is rich in natural marine life. During your dives here, expect to see lots of sharks (reef and leopard), turtles, manta rays, giant groupers, and barracudas. Elephant head or (Hin Pusar) is known to be one of their best dive spots within the area due to its intricate maze-like rocks composed of swim throughs, channels, and gorges reaching depths of over 40m. It is really something else and is pretty out of this world! Other notable sites within the area are Christmas Point and Fantasea Reef. Generally speaking, most of these liveaboards depart from either Chalong Pier in Phuket, Phang-Nga Province, or Thap Lamu Pier in Khao Lak. The Similan Islands are commonly rated as one of the top 10 dive destinations in the world, making it a premier dive destination visited by many. If you are looking at doing a liveaboard, it is best to book ahead of time as slots often fill up. Some airlines fly directly into Phuket while some require you to take a connecting flight from Bangkok. We often use Liveaboard.com to check prices or find last minute deals. 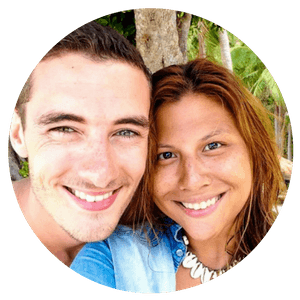 They have a cheapest price guarantee which is pretty awesome!If you’re looking for where to stay in Phuket, you can check out our guide for a few of our personal recommendations. Choosing which liveaboard to go with can be a daunting task especially since there are so many options to choose from. There are liveaboards that do 1-night tours while others extend them up to 6 nights. 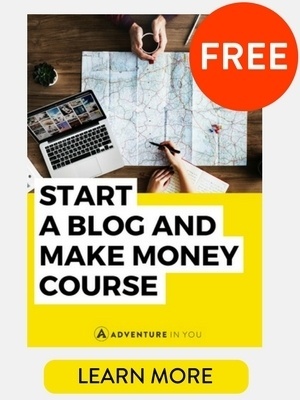 It will all boil down to your budget and what type of experience you are after. Most of the liveaboards require you to rent equipment so make sure your boat is well equipped in case you need to swap gear when needed. 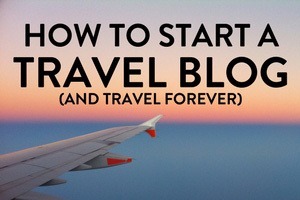 Apart from that, remember to pack a good travel book as you’ll want to make the most in between dives. Last thing, make sure to read the fine print as most of the liveaboards have external fees such as National park tariffs and equipment rental. 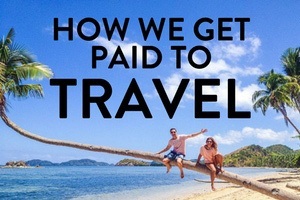 Make sure you consider those when budgeting and deciding on how to choose a liveaboard to go with. Happy diving!